Whether we contribute value as an advisor, incubator, strategic or financial partner, DML Ventures will contribute in turning ideas into market reality. We add value to companies by going beyond simply capital in an effort to help them grow and achieve their vision and greater returns. During each step of the operation, DML Ventures uses its network, expertise, and business insight to ensure the harmony of the transaction. We base our philosophy on mutually shared goals based on solid working relationships with management. As partners, we work with management to structure and deliver the strategic and financial resources needed to transform vision into reality. More than just money, we commit our time and resources to ensure success. 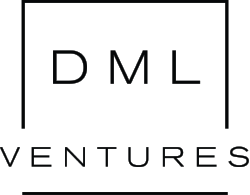 DML Ventures provides a strategic advantage for businesses at every stage of development, including: early stage, start-up, expansion, restructure, succession and buyout. In addition to contributing investment capital, we offer management, planning and business networking support to strengthen the success of our investments. As further commitment to our investments, we also actively seek to establish partnerships and lever third party investment capital. DML Ventures Inc. accomplishes this by bridging the gap between investors and companies using its local knowledge, relationships and resources. We help achieve business objectives by offering solutions for shareholder transition and by investing privately-negotiated equity throughout the various stages of your company's life-cycle. CoolSafe™ Enterprises, Inc. was formed to develop and market a pool and beachside multifunction unit that provides the hotel and resort industry in sun destinations a simple way to enhance the resort experience while creating a new revenue stream. Sygnus Ventures was established in 2011 in order to make investments in early stage technology and new media companies that offer the opportunity to create significant growth in the digital media arena, focusing primarily on companies that have received some angel investment, have proven successful and need capital to firmly establish the business and prepare it for a formal round of financing. Red Team Wins was founded by gaming industry veterans to provide client value in the expanding competitive gaming industry. Financial services and brand management for professional gamers and sponsorships sales are its core business. Other business units focus on influencer campaign development, game developer promotions and esports programs. Additional resources support general consumer marketing and content. greenRush is at the forefront of the cannabis revolution, serving both the recreational and medical markets. Our expansive greenRush marketplace offers consumers a selection of thousands of products for delivery or pickup from licensed providers, while our powerful ecommerce and marketing platform enables dispensaries and brands to easily sell their products online. Established in 2014 in the San Francisco Bay Area, greenRush has grown rapidly and consistently, and to fuel our growth we’re looking for exceptional talent and strong partners to join us in our efforts to become the leading resource for cannabis users, retailers, and brands. BCI is founded by a group of veteran gaming/BlockChain professionals whom have deployed a “Smart Contract Eco-System” designed for the gaming industry (i.e. E-sports, sports betting, lottery, daily fantasy sports etc). The company plans to license the proprietary technology to leading operators around the world and discussions with multiple partners are underway. The Smart Contracts Eco-System has been in development for over two years and has many unique features not available currently on Ether, Ripple or in any crypto-casino site.In addition to Smart Contract Eco-System, BCI has developed “PebbleGo”, easy-wallet functionality to send crypto currencies/contracts via email as well as a Smart Contract Wallet. Both products will launch by end of Q2 2018. This is the vision and passion of entrepreneur, David Lubotta. KONG is positioned to be the first Fast casual Dim Sum and Noodle food concept of its kind. KONG will use and offer only the freshest and highest quality ingredients at affordable prices prepared fast and fresh on location. KONG will offer a stylized and focused menu of authentic dim sum and hand stretched noodles with a healthier twist (non-deep fried). The International WELL Building Institute (IWBI) is leading the global movement to transform our buildings and communities in ways that help people thrive. IWBI delivers the cutting-edge WELL Building Standard, the first to be focused exclusively on the ways that buildings, and everything in them, can improve our comfort, drive better choices, and generally enhance, not compromise, our health and wellness. Its work extends to advancing health through design for entire neighborhoods through the WELL Community StandardTM Pilot, and convening and mobilizing the wellness community through management of the WELL AP credential. Prohbtd Media is the first and largest cannabis lifestyle multi-platform video network providing our brand partners with access to millions of engaged consumers. This means you can watch your brand through our content on apple tv, roku, amazon prime, androidTV, dailymotion and other places.